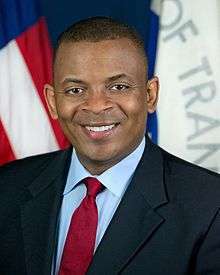 Anthony Renard Foxx (born April 30, 1971) is an American politician currently serving as the United States Secretary of Transportation, a position he has held since 2013. Previously, he served as the Mayor of Charlotte, North Carolina, from 2009 to 2013. He is a member of the Democratic Party. First elected to the Charlotte City Council in 2005, upon his 2009 mayoral victory he became the youngest mayor of Charlotte and its second African American mayor. In 2001, he returned to Charlotte to work as a business litigator for Hunton & Williams. While a member of the city council, he retained his position as a litigator at Hunton & Williams, switching to part-time status. In 2009, he left Hunton & Williams to join DesignLine Corporation, a hybrid electric bus manufacturer, as its Deputy General Counsel. In August 2015, the Trustee for DesignLine filed suit for $420,000, clawback against Foxx on the allegation that Foxx didn’t actually do the job he reportedly held at DesignLine. Foxx was first elected to the Charlotte City Council in 2005 to an at-large seat, and was re-elected in 2007. He won election as Charlotte's mayor in 2009. Early in his political career, Foxx gained a reputation as a quick study of local policy and led a number of City Council initiatives, including the development of policies to enhance job creation into the urban core of Charlotte, environmental efforts that led to a single stream recycling program and greenhouse gas reduction policies and acceleration of the region's transit plan. Beginning his tenure as mayor while facing a nearly 13% area unemployment rate, Foxx has announced the creation of more than 4,000 new jobs, has worked to reinforce Charlotte's role as a critical energy industry hub, hosted a series of town hall meetings with unemployed workers, pushed for changes to the city's small business loan program to create new jobs, saw the completion of a new runway at Charlotte-Douglas International Airport and led a delegation of Charlotte business leaders to meet with senior White House officials to press for several economic recovery spending measures. Three weeks later, President Barack Obama traveled to Charlotte to visit the new Duke Energy headquarters and to highlight the first positive monthly job growth figures in 18 months. 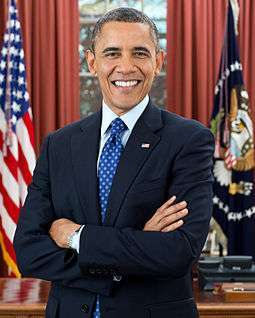 President Obama said on April 29, 2013 that he would nominate Foxx to be the Secretary of Transportation. On June 27, 2013, the Senate confirmed the nomination of Foxx to the Secretary of Transportation by a vote of 100-0. Foxx resigned from his elected position as mayor to accept the federal appointment. He priorities on 15 January 2014 at the 93rd Annual Transportation Research Board Chairman’s Luncheon in Washington, DC. On September 12, 2014, Foxx announced 72 projects that were going to receive Transportation Investment Generating Economic Recovery grants to help fund rapid transit projects. On September 16, 2014, Foxx gave the keynote address at a rail signing ceremony in Detroit's Grand Circus Park, which will be a terminus of the new Detroit Streetcar route. July 14, 2015, Foxx assumed the keynote speaker during the inaugural ride of the Charlotte, NC streetcar. This was a $37 million transportation project he supported while holding office as the Mayor of Charlotte prior to his appointment of Secretary of Transportation. 1 2 Morrill, Jim; Lyttle, Steve (2009-11-03). "Foxx elected Charlotte's mayor". Charlotte Observer. Retrieved 2009-11-03. ↑ Spanberg, Erik (2009-11-06). "Pat McCrory: Seven terms and not (quite) done yet". Charlotte Business Journal. Retrieved 2009-11-11. ↑ "Charlotte Mayor-Elect Anthony Foxx Sits Down For Exclusive Interview With Channel 9". WSOC-TV. 2009-11-05. Archived from the original on 2011-07-26. Retrieved 2009-11-09. ↑ Baker, Peter (29 April 2013). "Charlotte Mayor Is Chosen as Transportation Chief". The York Times. New York City. ↑ Nomination of Mayor Anthony Foxx to be Secretary of the U.S. Department of Transportation: Hearing before the Committee on Commerce, Science, and Transportation, United States Senate, One Hundred Thirteenth Congress, First Session, May 22, 2013. 1 2 "Hunton & Williams | Bios | Anthony R. Foxx". Hunton & Williams. Archived from the original on 2009-09-23. Retrieved 2009-11-04. ↑ Valle, Kirsten (2009-11-06). "Foxx's mayor role raises firm's profile". The Charlotte Observer. p. 10A. Retrieved 2009-11-09. ↑ "Trustee in DesignLine bankruptcy seeks to recover $421,000 in pay from former Mayor Anthony Foxx". Retrieved 2015-08-14. ↑ "Anthony Foxx resigns as mayor, Patsy Kinsey named new mayor". ↑ "USDOT awards $600 million in TIGER VI grants for 72 transportation projects". Progressive Railroading. 2014-09-15. Archived from the original on 2014-09-17. Retrieved 2014-09-16. The U.S. Department of Transportation (USDOT) on Friday announced all the recipients of Transportation Investment Generating Economic Recovery (TIGER) VI grants, several days after numerous members of Congress and state officials began to tout individual grant awards. ↑ "Officials participate in track signing ceremony celebrating Detroit streetcar project". The Republic. 2014-09-15. Archived from the original on 2014-09-17. Retrieved 2014-09-16. Transportation Secretary Anthony Foxx delivered the keynote Monday at a track signing event at Grand Circus Park. ↑ "Detroit light rail receives more TIGER funding". Railway Gazette. 2014-09-16. Archived from the original on 2014-09-17. Retrieved 2014-09-16. Federal Transportation Secretary Anthony Foxx announced a $12·2m TIGER grant for the M-1 light rail project in Detroit on September 15. This follows a $25m TIGER grant awarded in 2011. ↑ "USDOT's Foxx, Detroit officials sign ceremonial track for M-1 Rail streetcar". Progressive Railroading. 2014-09-16. Archived from the original on 2014-09-17. Retrieved 2014-09-16. Regarding the M-1 Rail initiative, Foxx noted the private industry's involvement in helping to fund the 3.3-mile streetcar, which will travel along Woodward Avenue between Congress and West Grand Boulevard in Detroit. ↑ AJ Williams (2014-09-16). "U.S. DOT Secretary Foxx Announces $12.2 Million for M-1 RAIL in Detroit". Detroit: Michigan Chronicle. Archived from the original on 2014-09-17. Retrieved 2014-09-16. United States Secretary of Transportation Anthony Foxx joined local, state and federal government officials, private donors and the Detroit community at a “Track Signing Ceremony” here today to announce a $12.2 million TIGER grant for the M-1 RAIL project. All of the streetcar project donors were recognized, including the two newest – Ford Motor Company and DTE Energy. ↑ Tom Walsh (2014-09-16). "Tom Walsh: M-1 Rail makes noise as new donors push line ahead". Detroit Free Press. Archived from the original on 2014-09-16. M-1 Rail officials released a new map of the route with station locations and the major sponsors affiliated with each stop. ↑ "Obama's 'designated survivor:' Anthony Foxx". USA Today. January 20, 2015. ↑ "Meet the Secretary". United States Department of Transportation. July 15, 2013.